NOTE: Down Payment amount will be charged to your credit card at the end of the online reservation process. To book this property, you must use the 'Book Online Now' link. 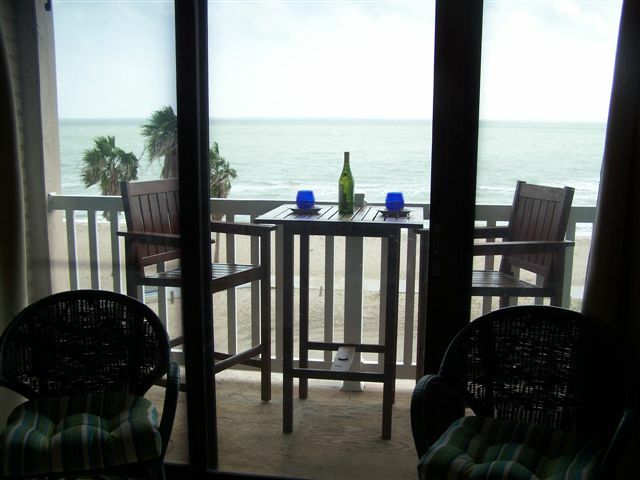 LISTEN TO THE SOOTHING SOUND OF THE SURF AND WATCH THE WAVES FROM YOUR OWN BEACHFRONT LIVING ROOM AND PRIVATE BALCONY! COVETED CORNER UNIT CLOSEST TO CORPUS CHRISTI WITH STUNNING VIEWS! 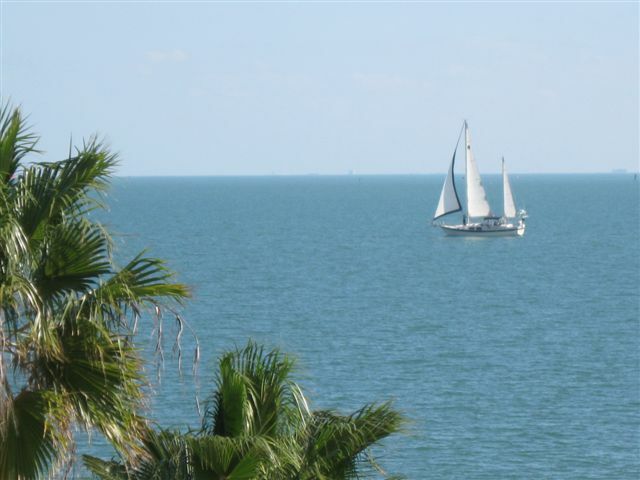 This remodeled condo is perfect for your family with amazing views of Corpus Christi Beach, the USS Lexington, and the colorful, sparkling Corpus Chrisit bayfront! Ceramic tile floors throughout and pastel interiors accentuate the natural appeal and relaxing comfort of this well appointed condo. 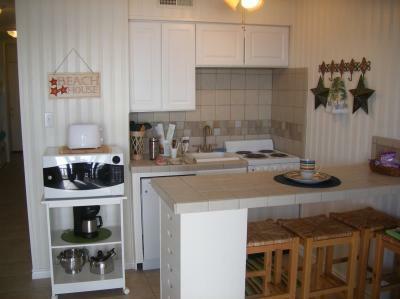 The kitchen has a ceramic tiled breakfast bar with seating for four and is compelete with a dishwasher. Walk out the door and down the stairs and you are right on the beach! 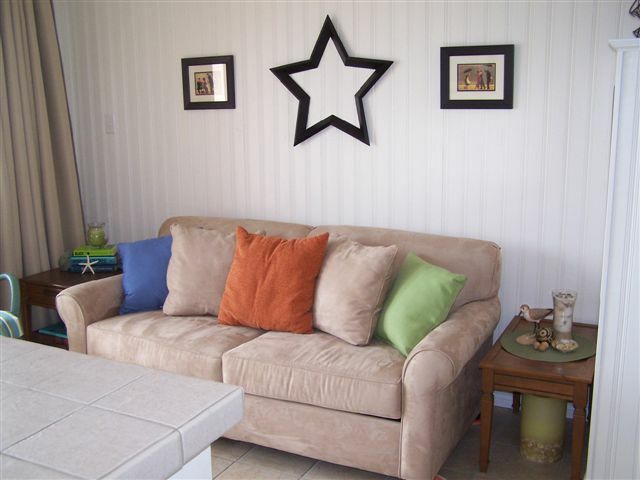 Enjoy the expansive white sandy beach of Corpus Chriti Bay and take a short walk on the beach boardwalk to the USS Lexington, Texas State Aquarium, shops and restaurants! Follow the ocean-going ships as they glide in and out of port; gaze at the pelicans as they glide by your balcony on their way to the Aransas Pass Wildlife Refuge and delight in the dolphins dancing in the surf right off the beach! At night, trace the lights and colors across the Harbor Bridge through downtown Corpus Christi, and all the way out to Padre and Mustang Islands! Walking distance to the #1 aquarium in the United States. Walking distance to the #1 aquarium in the United States. 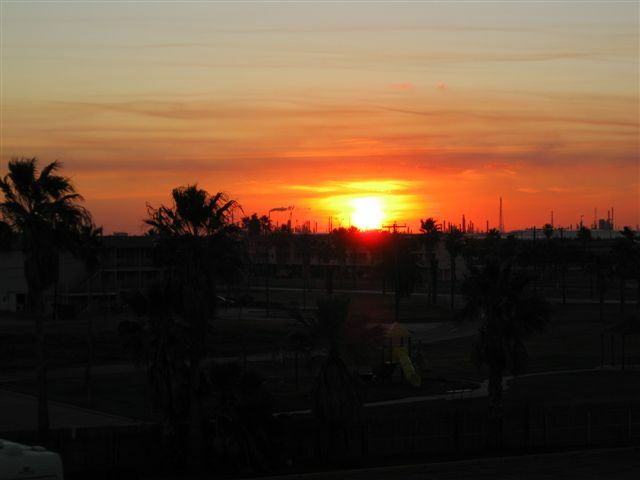 "this condo was lovely and stocked with evrything you could need and the view from the balcony was amazing the breeze coming off the water is heavenly i loved this condo and the location is great super close to food shopping and the aqurium and the uss lexington best vacation ive ever taken the only thing i regret is having to leave"
"My husband and 2 children stayed in unit #1200. Check in was extremely easy. The view was unbelievable and it was very convenient to local attractions. The outside of the building and hallways were a little run down. 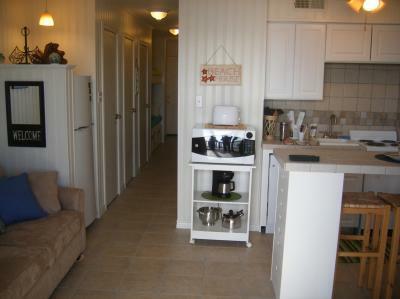 The only issue we had with the unit itself was, when we arrived, the first thing we did was open the balacony doors to look at the beach, but the sliding screen door was broke and off the track. Because of this we had to keep the solid door shut all of the time and were not able to have just the screen door closed. Other than that the inside of the unit was Great!! 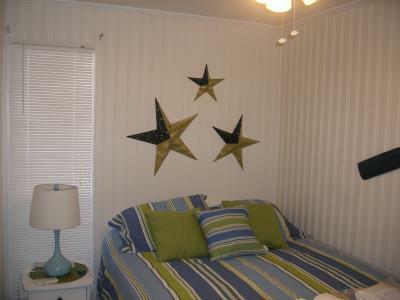 We will definately consider this condo and location again! Thanks for a wonderful time! "